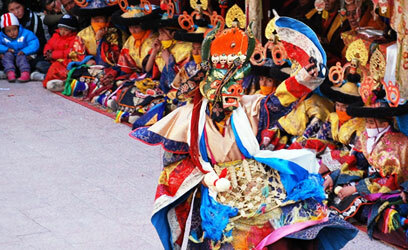 A festival in Tibetan Buddhism Losar is celebrated with great zeal and enthusiasm. 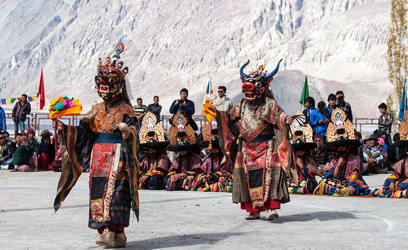 The Fiesta marks the New Year and is one of the most noted festivals in Ladakh. 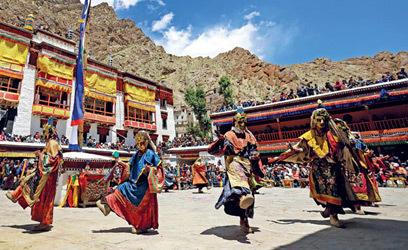 The celebrations proceed with the Ladakhi Buddhists making make a religious offering before their deities in the Gompas or local monasteries. 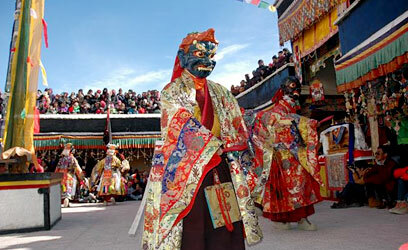 Losar Festival was celebrated before the arrival of Buddhism in Tibet. 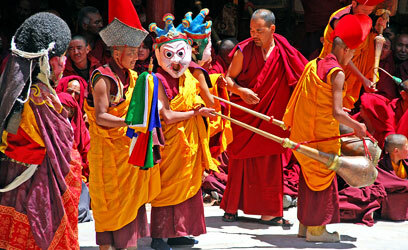 The pre-Buddhist gala finds its roots in a winter-incense-burning custom of a religion. 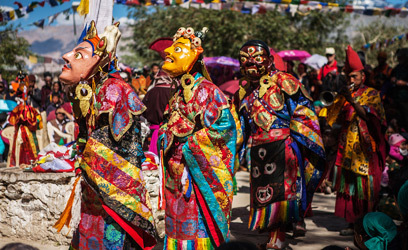 For hundreds of year now, it has been a tradition for the Government and the Dalai Lama to consult Nechung during the festivities. 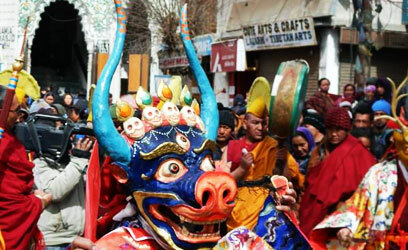 The festivities for the Losar festival in Ladakh last for about 15 days. 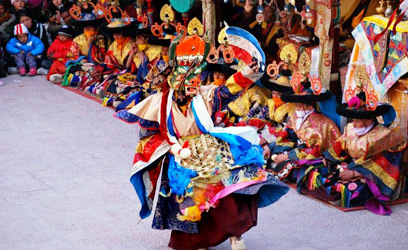 A medley of cultural events, traditional performances and also ancient rituals are an essential part of the New Year celebrations. Out of the 15 days, the first three days are really important. 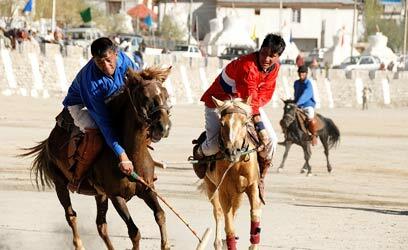 Changkoi, a beverage is made from Chhaang on the first day. 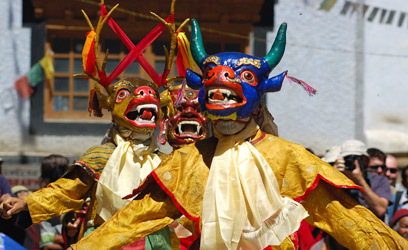 The day proceeds with the chanting of prayers in the monastery. 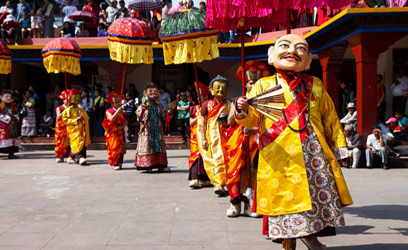 The second day is known as the King’s Losar. 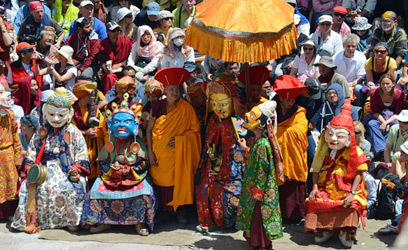 People gather in the Hall of Excellence of Samsara and Nirvana. 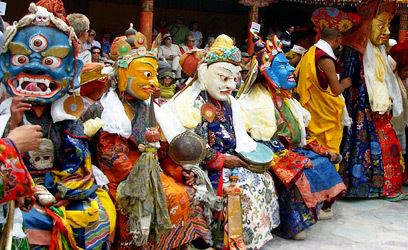 Representatives from Bhutan, Nepal, Mongolia and China. 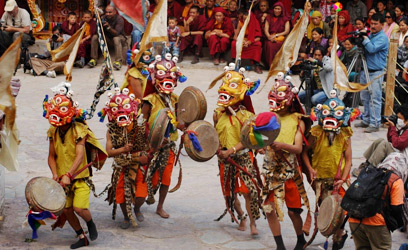 From third day onwards monks along with the locals, join the celebration. 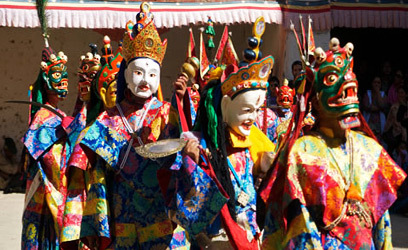 Interestingly the day of Losar overlaps with the Chinese New Year. 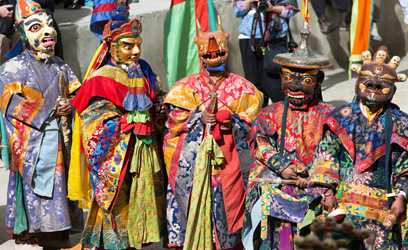 Prayer flags are hoisted in important religious places. Old items are discarded from the homes. People decorate their house with good luck signs. 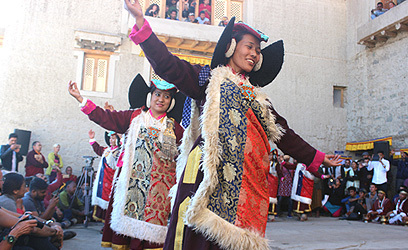 Several music events urge people to be a part of the celebrations by dancing to their heart’s content. Dinner with relatives is also an essential part of the merrymaking. 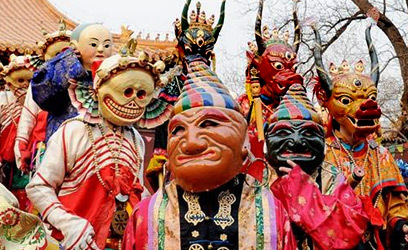 Masked dances look truly spectacular and seem so inviting. 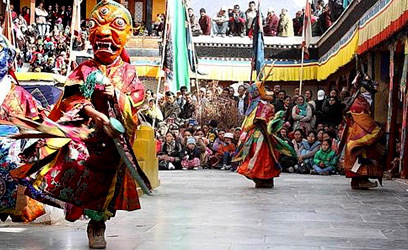 Do attend Losar Festival 2019 in Ladakh to cherish an experience of a lifetime.